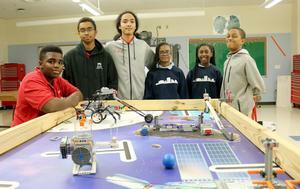 Good luck to our KIPP Central City Academy and KIPP Morial robotics teams as they head off to compete in the The First LEGO League State Championship on Dec. 15! The event takes place from 8:30 a.m. to 4 p.m. at Jesuit High School (4133 Banks Street). The robot competition, the most exciting part for spectators, happens after lunch. 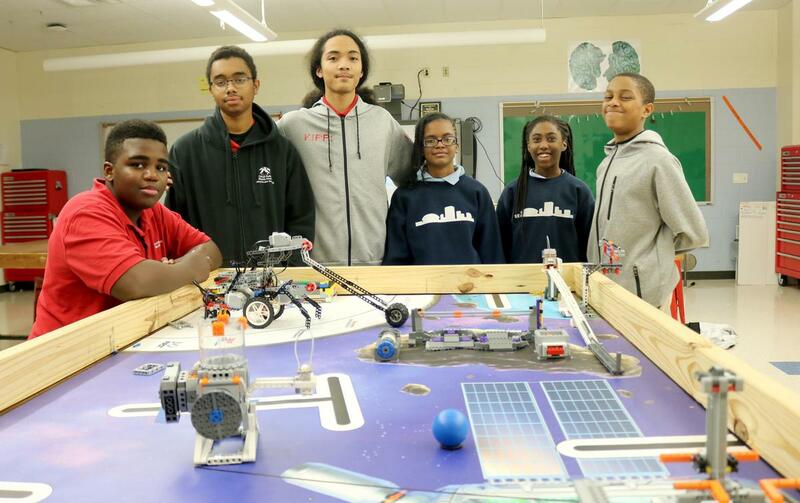 FIRST LEGO League offers an opportunity for middle school students to design, build and compete with a robot constructed of LEGOs and to create and deliver a 5 minute research presentation on the annual competition theme. This year’s Into Orbit Project Challenge has teams identify a human physical or social problem faced during long duration space exploration, within our Sun’s solar system, and propose a solution.